Virtual reality (VR) and video games are becoming more and more popular in the field of rehabilitation. Recent Cochrane Database reviews and articles have detailed the use of both commercially available video games and customized VR applications in rehabilitation.1-3Some studies have focused specifically on video games/VR applications for lower extremity function, including gait and balance.4,5 Rehabilitation and VR are a natural fit and many clinicians have discovered the potential uses of commercially available active video games such those on the Nintendo Wii and Microsoft Xbox 360 Kinect. When the Nintendo Wii was released the term “Wii-habilitation” soon followed in the mainstream media, with news stories featuring pictures of nursing home patients playing Wii bowling. However, there are many things those in the rehabilitation and medical fields should consider before adopting these new technologies in clinical practice. In particular, it is important to remember that not every technology will work with every patient. Clinical judgment is the key to appropriate and efficacious patient care. Therapists using commercially available active video games in occupational therapy settings frequently find that the level of challenge does not match the level of abilities of their clients. 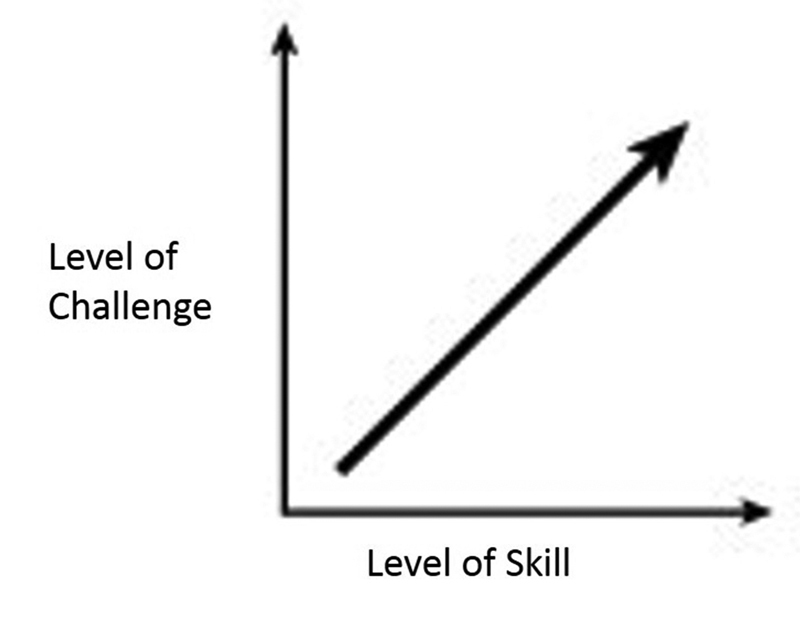 Often a patient is able to complete Level 1 in a game, but the increase in difficulty to Level 2 is beyond what the patient is able to achieve. Furthermore, with commercially available games, it is often difficult for the therapist to modify or change settings to match the level of ability of their client. Commercially available active games, such as those played on the Nintendo Wii and Xbox 360 consoles, also have limited amounts and types of data storage, which in turn limits the clinical utility of the data. The evolving healthcare environment is changing how therapists report on client performance and progress. Increasingly insurance companies, including Medicare, are requiring more objective data to demonstrate the need for rehabilitation services and to justify reimbursement. The electronic systems and data-capture mechanisms in video games are not being utilized to their full advantage in commercially available applications. For example, the Microsoft Kinect sensor that is used as a controller for active video games played on the Xbox 360 console tracks 20 discrete points on the player’s body. In commercially available applications, these kinematic data can be utilized only for in-game tasks and not in reports on player performance. Interviews and focus groups with key stakeholders (patients, therapists, and caregivers) about the Wii Fit and its use in balance rehabilitation revealed the need for customization, data tracking, and inclusion of games that “encourage the accurate execution of weight shift patterns.”9 In response, Lange and colleagues developed and user tested a prototype game for balance rehabilitation that included these features.9 The game was well received by both patients and therapists, with all participants reporting positive ratings on a usability questionnaire. During semistructured interviews all participants provided suggestions for further improvements. Although this was not an intervention study, the average perceived level of exertion reported during game play was “working hard.”9 The success and positive reception of this prototype game for rehabilitation demonstrates the clinical need for customized video games. Customized VR applications should include intervention options that allow the therapist to grade the task to the level of their client. The VR applications should be easy for therapists to access and the methods for changing settings intuitive. Collaborations among therapists, engineers and programmers during the design of VR applications for rehabilitation can ensure that data are accessible and applicable to rehabilitation practice. Researchers at University of Southern California’s Institute for Creative Technologies (http://medvr.ict.usc.edu) in Los Angeles have created a unique team focused on customized VR applications for rehabilitation. The research team in the Game-based Rehabilitation Lab is made up of clinicians (occupational and physical therapists), engineers, and computer programmers. When the Microsoft Kinect sensor was released in 2010, this group quickly realized the potential applications for rehabilitation, especially balance and lower extremity rehabilitation, and explored the abilities of the sensor for data tracking, data recording, and game customization. Following a year of development, the researchers looked to refine the prototype and test the tool in specific populations. Jewel Mine (Figure 2) was developed and geared toward balance rehabilitation; however, patients receiving balance rehabilitation services make up a very heterogeneous group. There are a variety of conditions that affect balance, such as stroke, amputation, sports injury, and cerebral palsy, and adult patients can range in age from young adults to the elderly. Before exploring a clinical application of Jewel Mine for balance, the researchers attempted to understand the feasibility of using Jewel Mine with healthy older adults as a tool for fall prevention. Focus groups were held and user testing was completed with the target population (adults aged 55 years and older living independently in the community). The game that evolved out of the focus groups and user testing was then used in a feasibility study. The focus groups and user testing had revealed the subjective views of healthy older adults with regard to the prototype game. The feasibility study compared the perceptions of healthy older adults with regard to similar motor tasks in virtual and real environments. The motor tasks involved forward reaching combined with static standing and dynamic balance activities (standing in place and taking a step forward). 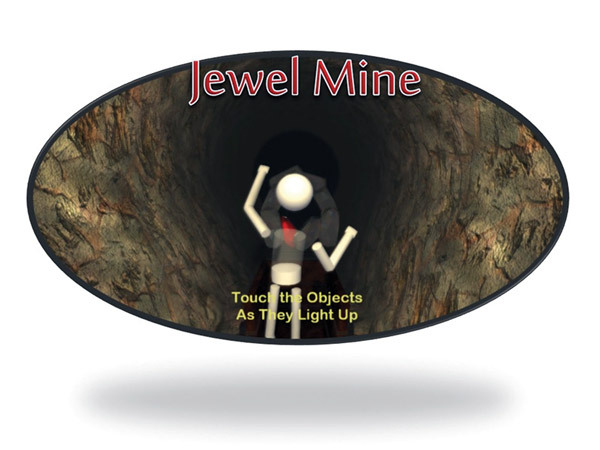 The Jewel Mine game was the basis for the virtual environment and then was compared to reaching for a tennis ball on a stick (real environment). Motor planning was also different between the two environments. Study participants relied on more online feedback when completing the motor task in the virtual environment than in the real environment.16 These findings have implications for game development moving forward, as well as for use of off-the-shelf video games in clinical practice. Therapists and other practitioners should be aware that movements, specifically reaching movements, in virtual environments may be slightly different than those completed in the real world. Virtual training should always be utilized in conjunction with real-world task practice. From these findings, the game has been modified for use with clinical populations. It has evolved into a more flexible customized game called Mystic Isle (Figure 3). The Mystic Isle game places the player on a 3D virtual island. The backgrounds, game objects, and tasks vary depending on the player’s location on the island. Through the game tasks, the player moves around the island collecting objects. The same underlying con­cepts from Jewel Mine were incorporated into Mystic Isle. The flow of the menu was updated to allow for more intuitive use by clinicians. The tasks within the game were also modified to include cognitive tasks and structured balance tasks. A case study and case series of people with chronic stroke deployed Mystic Isle in the home setting rather than the clinic, and found the game was feasible for home use. All participants reported a high level of satisfaction with the game and the intervention as a whole. Minimal improvements were seen on clinical measures of function and balance; however, all participants reported an increase in balance confidence at the completion of the intervention.17Understanding the feasibility of using the game in the home setting is key to integrating the game into the full cycle of rehabilitation. Ultimately, the game has potential to be used in acute, inpatient, outpatient, and community-based settings for people with stroke and other neurological or orthopedic conditions. 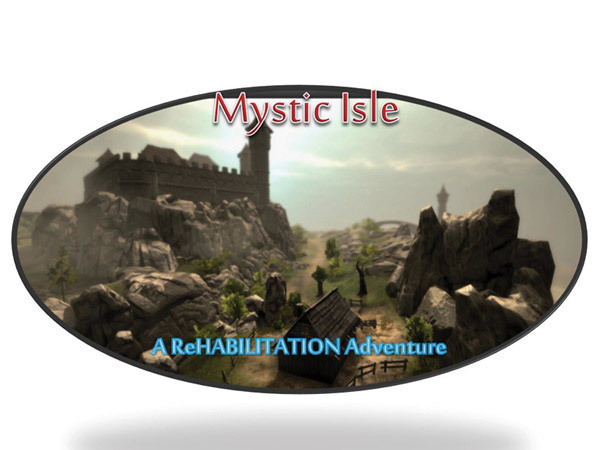 Clinicians from rehabilitation sites across the US and internationally have collaborated on the design and development process of Mystic Isle. Although the game for clinical populations is still a prototype, the researchers at University of Southern California’s Institute for Creative Technologies are attempting to better understand how the game can best be used in clinical practice. At least one of the clinics involved in this effort is a specialized balance and vestibular disorders clinic, and many sites are focused exclusively on lower extremity rehabilitation. The data and feedback from those specialty sites will help shape the game into an efficacious applicable tool for lower extremity rehabilitation. The tracking capabilities might not be as good as those of a gold standard measure such as motion capture; however, this is offset by the fact that the sensor is portable and can be used in a variety of settings. Tracking and data recording can occur across the span of medical care and rehabilitation. The sensor can be used in hospitals, inpatient rehabilitation facilities, outpatient clinics, community centers, and the home. The associated game can also be used in multiple settings, which allows for continuity of care across settings over the course of rehabilitation. Rehabilitation can frequently seem disconnected to persons when moving from one setting to another. Using the VR application at all the stages of rehabilitation can give patients a sense of consistency as well as providing consistent and reliable data tracking as the patient recovers. The tracking and data capabilities of the sensors will only continue to improve over the coming years as advances in technology are incorporated into sensors for gaming. The potential for rehabilitation and lower extremity functional use will only increase. It is important for persons in the medical and rehabilitation fields to become involved in the development and testing of these games and technologies. Engineers, programmers, clinicians, and doctors are encouraged to form collaborations to grow the field of VR applications for rehabilitation and provide the best tools to improve the health and well being of patients. Rachel Proffitt, OTD, OTR/L, is a postdoctoral fellow at the University of Southern California in Los Angeles and is exploring the use of customized virtual reality applications for chronic stroke rehabilitation, including motivational characteristics and advantages of tracking patient performance data via telerehabilitation. Henderson A, Korner-Bitensky N, Levin M. Virtual reality in stroke rehabilitation: a systematic review of its effectiveness for upper limb motor recovery. Top Stroke Rehabil 2007;14(2):52-61. Holden MK. Virtual environments for motor rehabilitation: review. Cyberpsychol Behav 2005;8(3):187-211. Laver K, George S, Thomas S, et al. Virtual reality for stroke rehabilitation. Stroke 2012;43(2):e20-e21. Gil-Gómez JA, Lloréns R, Alcañiz M, Colomer C. Effectiveness of a Wii balance board-based system (eBaViR) for balance rehabilitation: a pilot randomized clinical trial in patients with acquired brain injury. J Neuroeng Rehabil 2011;8(1):30. Deutsch JE, Robbins D, Morrison J, Bowlby PG. Wii-based compared to standard of care balance and mobility rehabilitation for two individuals post-stroke. Presented at IEEE Virtual Rehabilitation International Conference, Haifa, Israel, June 2009. Csikszentmihalyi M. Finding flow: The psychology of engagement with everyday life. New York City, New York: Basic Books; 1997. Chen J. Flow in games (and everything else). Communications of the ACM 2007;50(4):31-34. Lange B, Flynn S, Rizzo A. Initial usability assessment of off-the-shelf video game consoles for clinical game-based motor rehabilitation. Phys Ther Rev 2009;14(5):355-363. Lange B, Flynn S, Proffitt R, et al. Development of an interactive game-based rehabilitation tool for dynamic balance training. Top Stroke Rehabil 2010;17(5):345-352. Proffitt R, Lange B. User centered design and development of a game for exercise in older adults. Int J Tech Knowl Soc 2013;8(5):95-112. Lange B, Koenig S, Chang CY, et al. Designing informed game-based rehabilitation tasks leveraging advances in virtual reality. Disabil Rehabil 2012;34(22):1863-1870. Chang CY, Lange B, Zhang M, et al. Towards pervasive physical rehabilitation using Microsoft Kinect. Presented at IEEE 6th International Conference on Pervasive Computing Technologies for Healthcare (PervasiveHealth), San Diego, May 2012. Basak C, Boot WR, Voss MW, et al. Can training in a real-time strategy video game attenuate cognitive decline in older adults? Psych Aging 2008;23(4):765-777. Fernández-Baena A, Susín A, Lligadas X. Biomechanical validation of upper-body and lower-body joint movements of kinect motion capture data for rehabilitation treatments. Presented at IEEE 4th Annual International Conference on Intelligent Networking and Collaborative Systems (INCoS), Bucharest, Romania, September 2012.